Food security has emerged as an urgent concern because of the rising world population. To meet the food demands of the near future, it is required to improve the productivity of various crops, not just of staple food crops. The genetic diversity among plant populations in a given species allows the plants to adapt to various environmental conditions. Such diversity could therefore yield valuable traits that could overcome the food-security challenges. 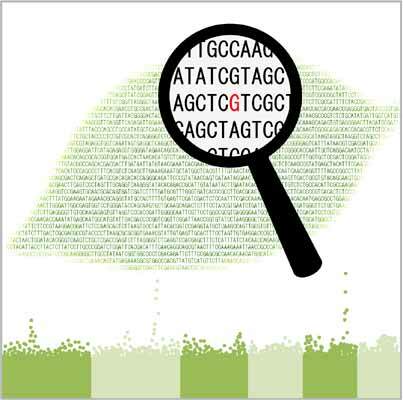 To explore genetic diversity comprehensively and to rapidly identify useful genes and/or allele, advanced high-throughput sequencing techniques, also called nextgeneration sequencing (NGS) technologies, have been developed. These provide practical solutions to the challenges in crop genomics. Here, we review various sources of genetic diversity in plants, newly developed genetic diversity-mining tools synergized with NGS techniques, and related genetic approaches such as quantitative trait locus analysis and genome- wide association study. Genetic diversity, NGS technology, Genotyping, QTL analysis, GWAS, Crop improvement. Cellulose Production Research Team, RIKEN Center for Sustainable Resource Science, Yokohama, Japan.